At Milan Design Week 2019, Stellar Works will be exhibiting at the historic Galleria Teatro Manzoni in central Milan. The theater was built in 1870 and was in 1873 dedicated to the Italian poet and novelist Alessandro Manzoni. He is famous for the novel The Betrothed which is ranked among the masterpieces of world literature. 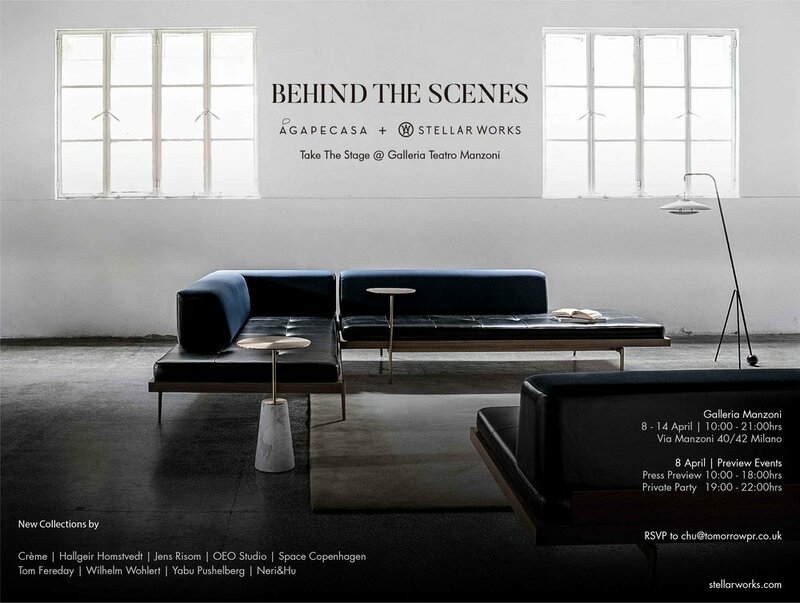 Stellar Works will together with Agapecasa give you an exclusive peak behind the scenes and show off their newest collections. Stellar Works will be launching new collections from Crème, Hallgeir Homstvedt, Jens Rison, OEO Studio, Space Copenhagen, Tom Fereday, Wilhelm Wohlert, Yabu Pushelberg and Neri&Hu.